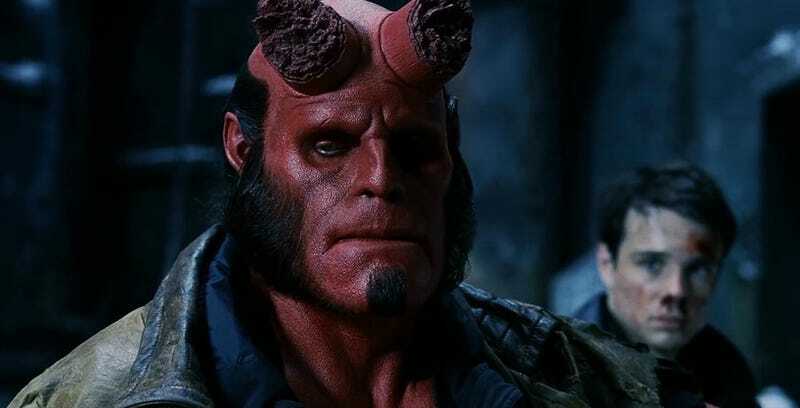 For the better part of a decade, director Guillermo del Toro has teased, promised, and pleaded to make a third Hellboy movie. Star Ron Perlman is up for it and fans want it, but no studio has been willing to pay for it. A few weeks ago, del Toro got fans hopes up by saying he was going to try yet again—and instead, now the dream is finally dead. As you see above, del Toro took to his Twitter feed Tuesday to reveal that not only did he fail yet again, he’s finally done trying to make the film. Which, obviously, is a disappointment for fans who had hoped Big Red, Abe Sapien, and the B.P.R.D. crew would make another run on the big screen. Still, it can’t be that surprising after 2008's Hellboy II: The Golden Army failed to wow at the box office. Still it’s probably for the best that the director finally acknowledged to the fans (and himself) that the movie is never happening. Presuming, of course, this actually is the “final thing” about it. We’ll see how that goes. Update: Perlman and Hellboy creator Mike Mignola also weighed in, one retweeting a certain article you are currently reading.